The 49ers saw enough of Jimmy Garoppolo near the end of the season to realize he’s the guy for the future of the QB position for the Niners, and paid him well on Thursday, agreeing to a five-year contract with the quarterback worth $137.5 million. The deal is the largest in NFL history on an average-per-year basis. 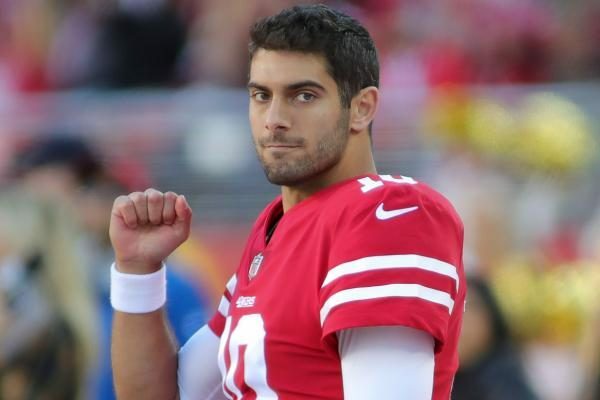 Be the first to comment on "Jimmy G. Gets Paid; Niners QB Jimmy Garoppolo Cashes in With 5-Year Deal, $137.5 Million"